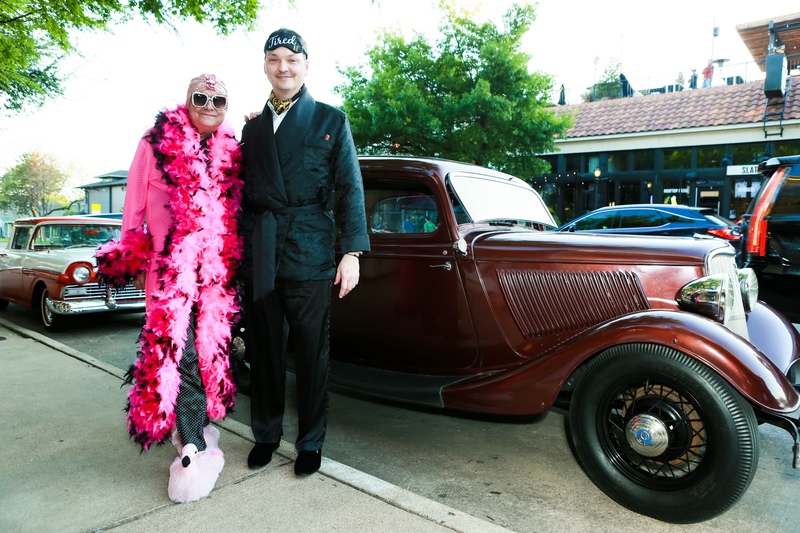 The Jack Retro One Year Anniversary Pajama Party took place on Greenville Avenue in Dallas on the eve of April 19th. 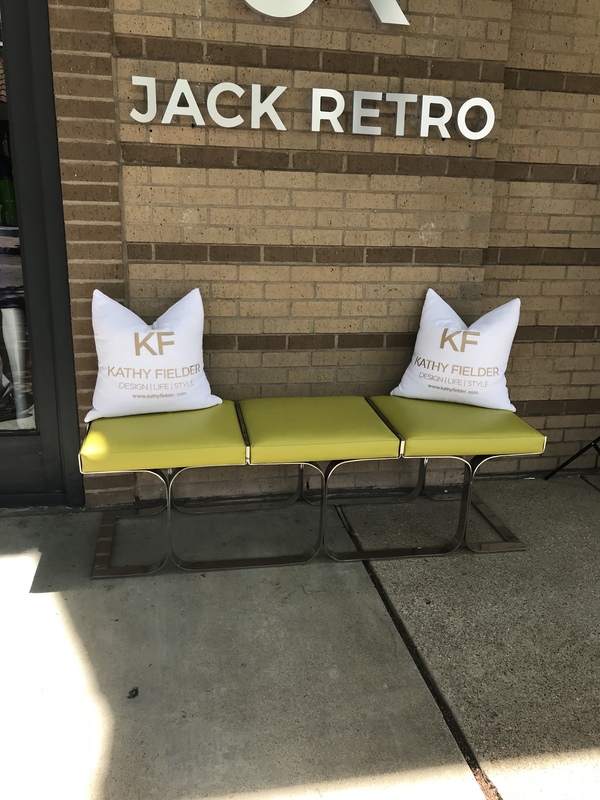 This fabulous event paired Jack Retro, Kathy Fielder, and Hard Night Good Morning by D’Andra Simmons to create an amazing celebration for their One Year Anniversary Extravaganza. Jack Retro owners Jack Perez, Scott Kramer, and Angel Semeco envisioned a glamorous night, and KF designed an outdoor oasis to enhance an evening of gorgeous vintage clothing to co-host some of Dallas’ finest. 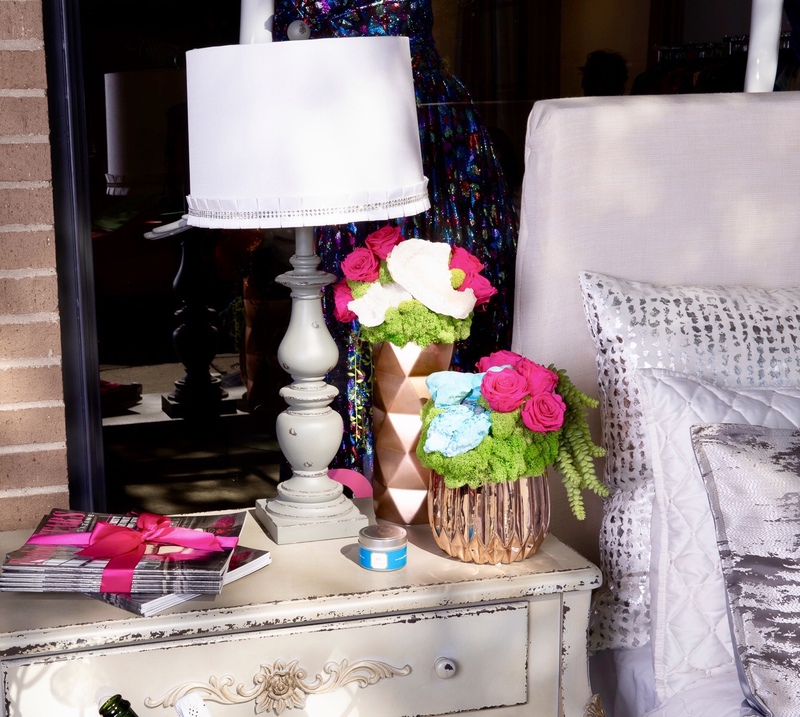 KF transformed the exterior of the store into a glam boudoir to truly set the stage for the evening’s event. Filming by Bravo Network made the air even more electric. 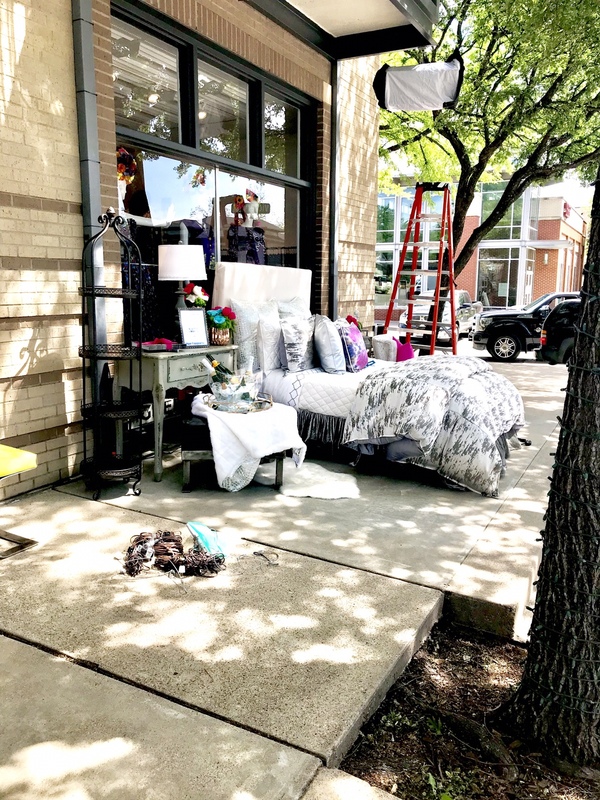 Our EIC spared no details, and transformed the entire front exterior of Jack Retro with fab furniture, chic bedding and amazing pillows from her KF Design | Life | Style studio. 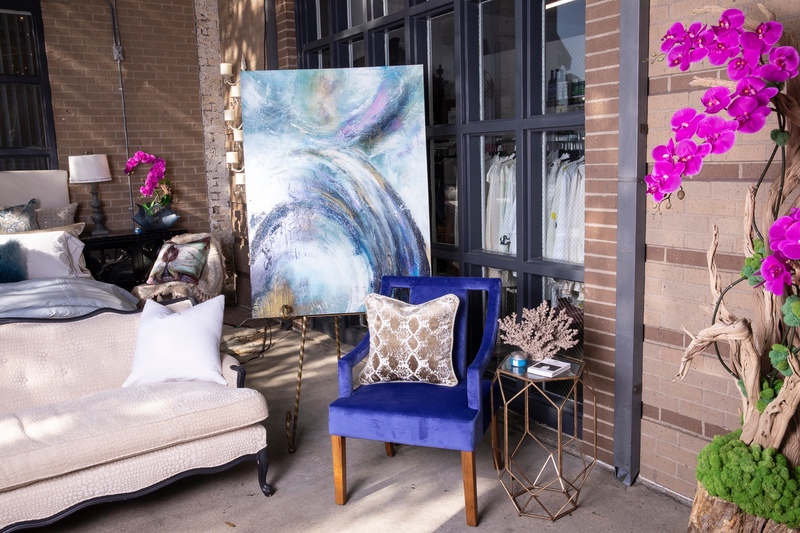 All of this paired with gorgeous floral arrangements by The Botanical Mix, a vintage sofa, and exquisite art by Artist LaToya Jones truly help to showcase the glamour of the event. Setup for a big event is usually an all day endeavor, and this event was certainly no different. A month long in the making, KF set up an entire outdoor stage for film crews, celebrities, and party-goers. 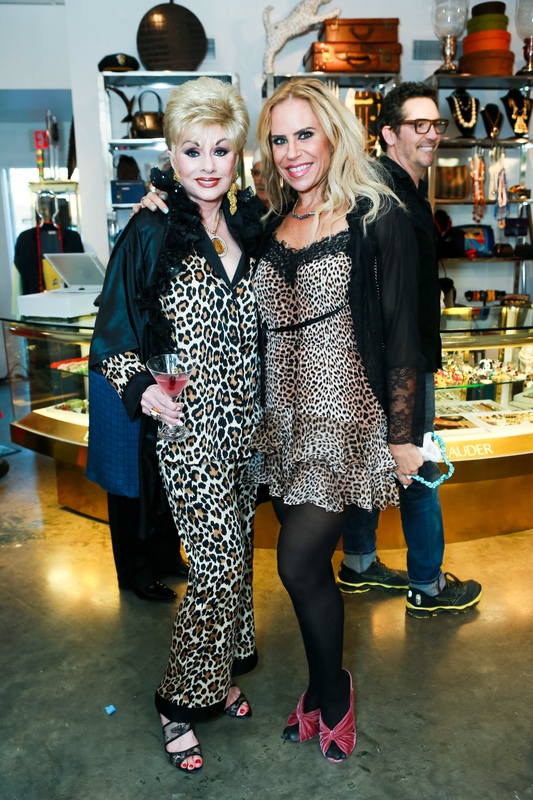 The theme of the party was a vintage pajama party (think peignoirs), and Bravo network was on the set by mid-afternoon to set up filming for an upcoming episode of The Real Housewives of Dallas. Kathy took inspo and ran with a modern day Marie Antoinette vision. Working with several of her staff (and her daughter Isabella), she took the bedroom and home outdoors. 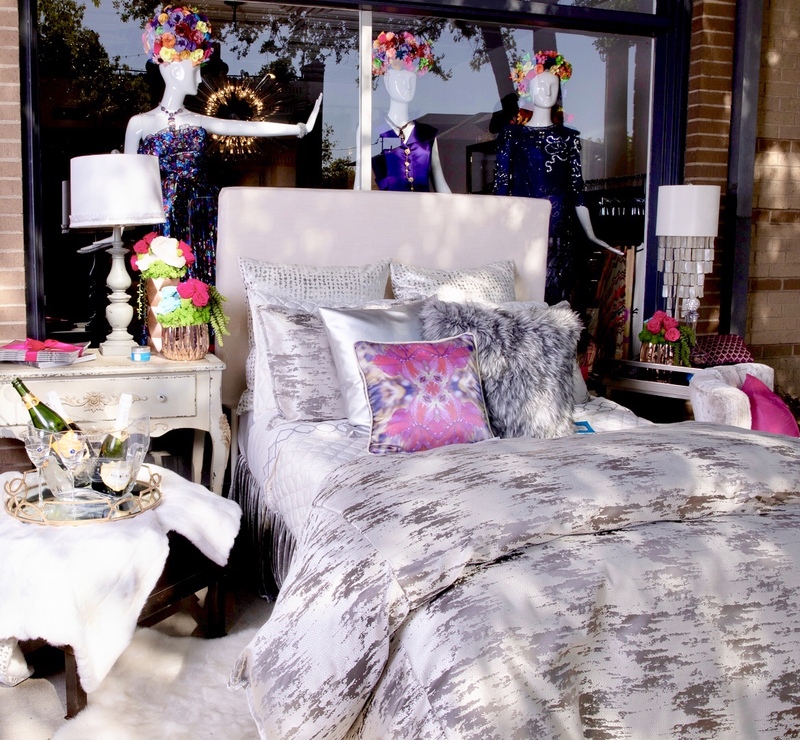 She incorporated gorgeous bedding, pillows and textiles from her Isabella Collection by Kathy Fielder and Fielder Home. The space was also accentuated with custom printed pillows by artist Hector Batiz. Breathtaking floral masterpieces by The Botanical Mix were strategically placed and certainly some of the most striking pieces of the evening. Finishing off the environment with flair, gorgeous art by Artist LaToya Jones perfectly accented what KF created. 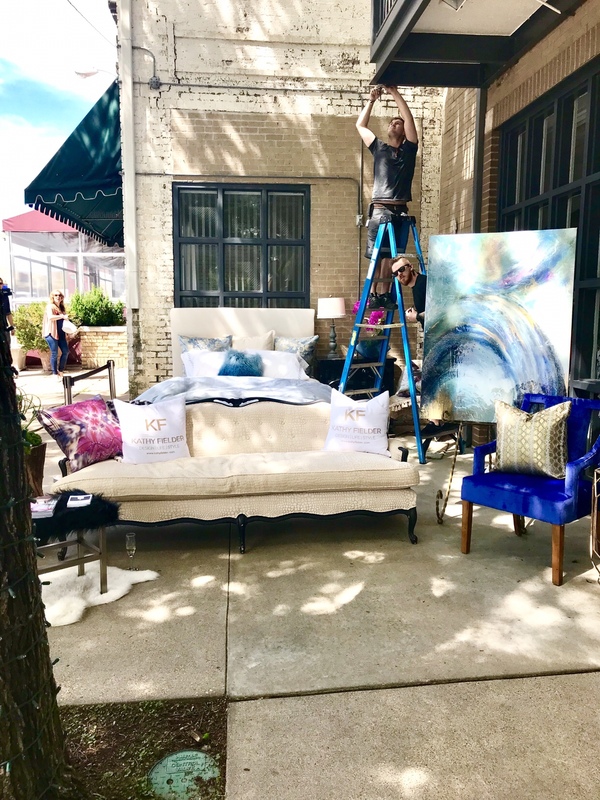 Kathy even added a vintage sofa recovered with textiles she designed, as well as stylish chairs and accessories from the newly re-envisioned retailer, Pier 1. The mix was extraordinary and not to be missed. Kathy with daughter, Isabella who helped set up for the event. Bella is in a vintage jacket from Jack Retro. Bravo Network staff, producers, and directors got very busy around 2:30 getting ready to film. Custom lighting for the event is installed by members of the Bravo Network team. 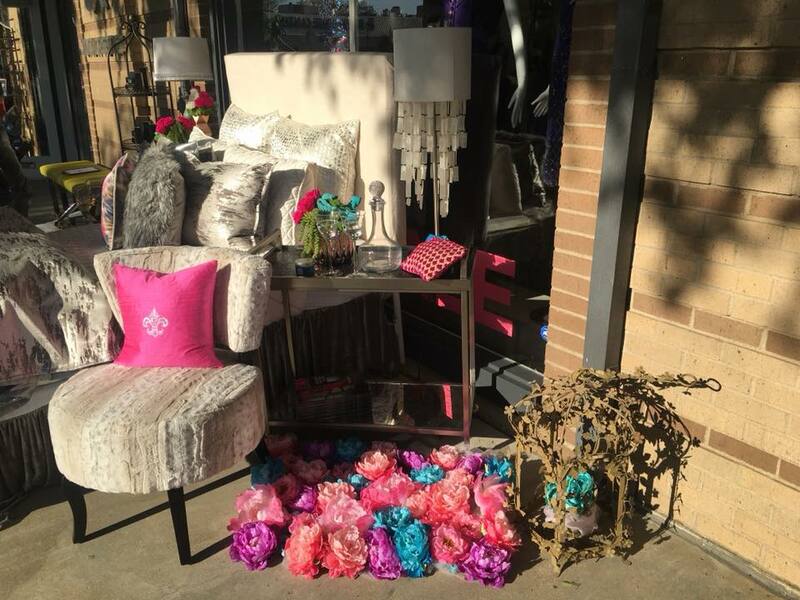 Creating a set for one of the swankiest parties in town takes some planning and collaborative effort. 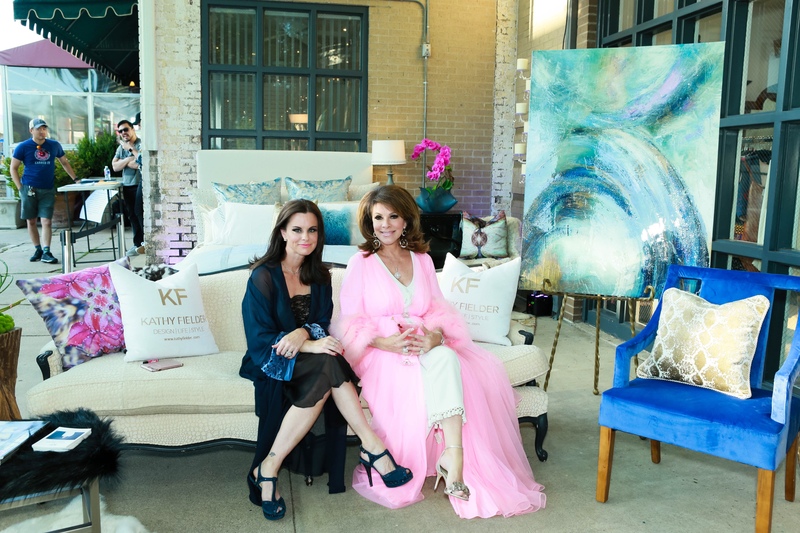 The finished product of KF’s outdoor boudoir design turned out to be a most beautiful backdrop on a truly gorgeous evening and night in Dallas. Beautiful, extraordinary, and expressive pieces made it truly as if the indoors was outside on the terrace. Event Planner & Stylist Rhonda Sargent Chambers and Kathy Fielder pictured with a gorgeous customer designed floral by The Botanical Mix. 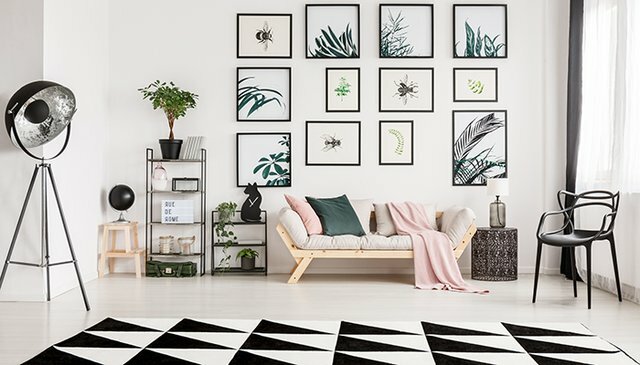 See more of their work here. With setup complete, there is little time left to get ready. But there is always time for a quick photo shoot with photographer, Thomas Garza before the party begins! On set makeup required! Makeup artist, Susie Grey Uphues to the rescue for hair and makeup and some much needed glam while KF catches up on some emails and texts..
After hair and makeup, a quick photo shoot follows with stylists Rhonda Sargent Chambers and Wilie Johnson. While pictures say a 1000 words, so much work goes into making a great one. The sharp eyes of talented stylists such as Rhonda and Willie make all the difference in getting a beautiful and decisive shot, and fast! Only about an hour until the party begins! 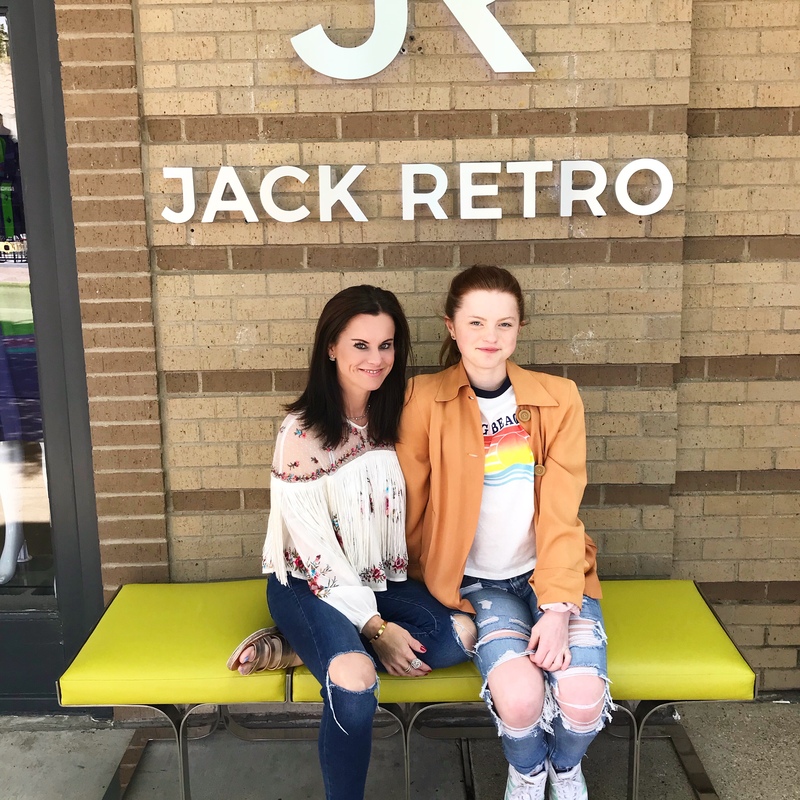 Jack Retro is a true vintage store. 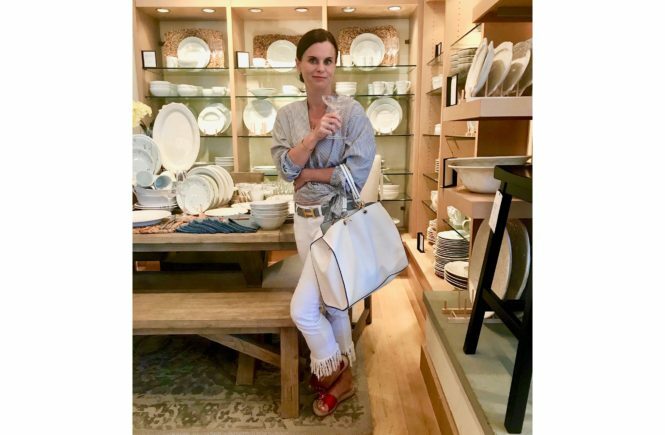 With a story behind almost every piece, Jack Perez makes it fun to procure fab and fresh vintage pieces. 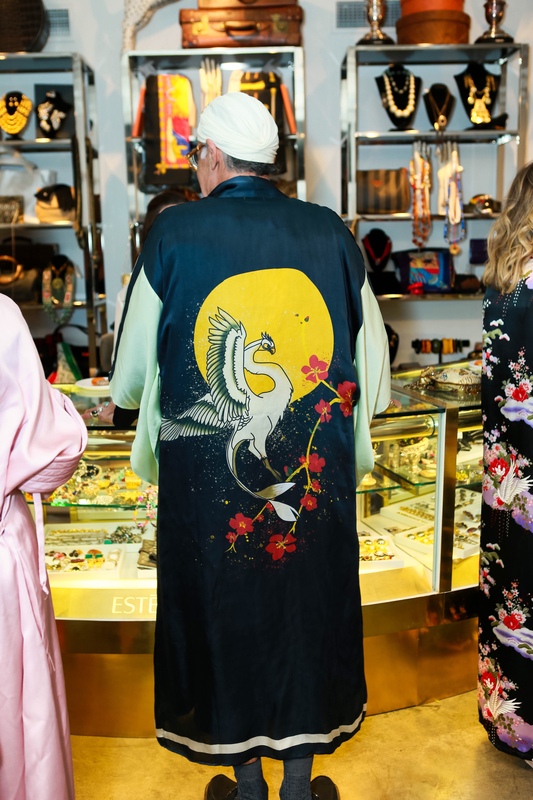 The party, while a celebration, was also an evening of fashionable shopping for delectable vintage finds. While Bravo moved about filming attendees, party goers dressed in their finest loungewear and pegnoirs (think old Hollywood glamour). Guests enjoyed cocktails by Kruto Vodka, sips of champagne, and light bites. With perfect weather, attendees were free to move in and out freely and enjoy a gorgeous Dallas evening.